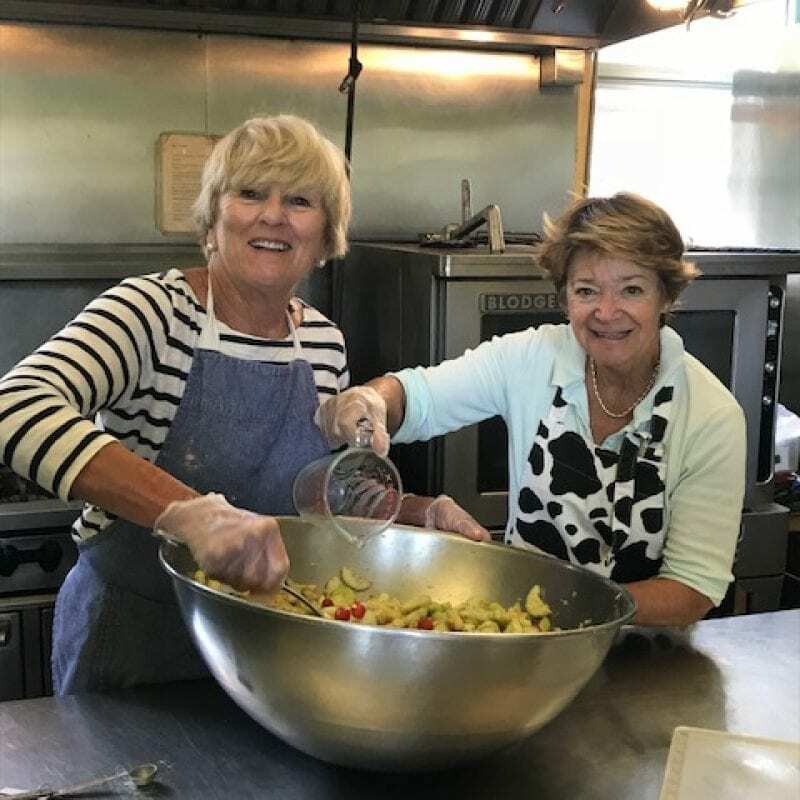 It all started when Sally Adams saw her good friend, Lyn Freeman, in the Marblehead Reporter representing Lifebridge.  Seeing her good friend as a Board Member validated that Lifebridge was a special place to be involved with and volunteer. 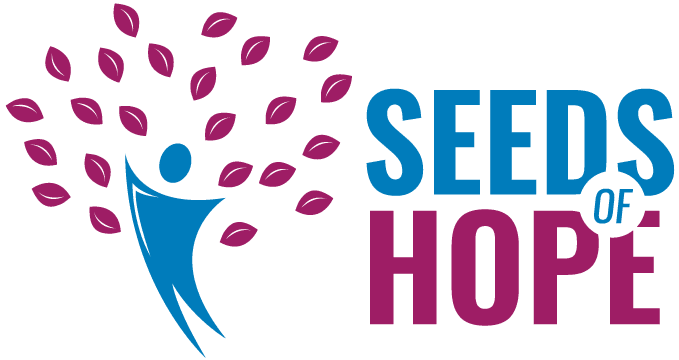 Sally was recently retired from working full time and felt like she needed to have direction and focus so she began volunteering in the Development Office at Lifebridge one day a week. 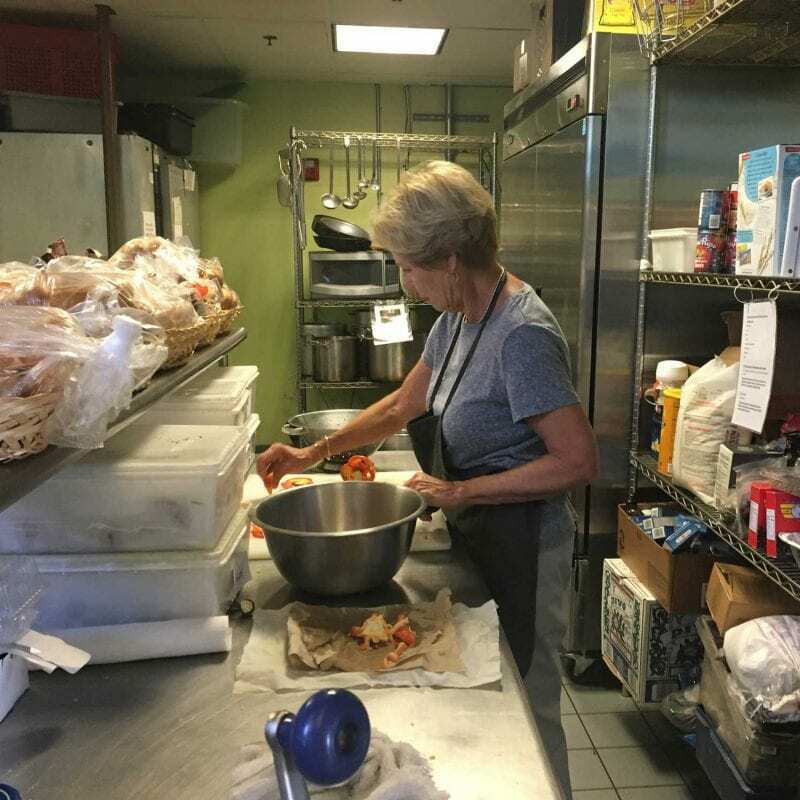 Our Kitchen Manager mentioned to Sally that she needed more volunteers in the kitchen. Sally thought she could get some of her friends to join her on Monday mornings. 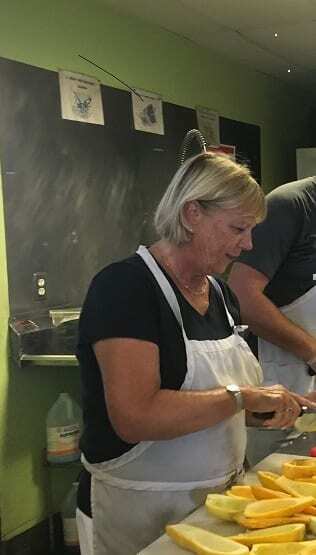 Since then, it has been a tradition of “The Ladies” working in the kitchen on Mondays. Sally and Lyn along with Ducky Connolly and Lissa Carlin arrive every Monday morning – whether it be a holiday, a snow day, or the perfect beach day. 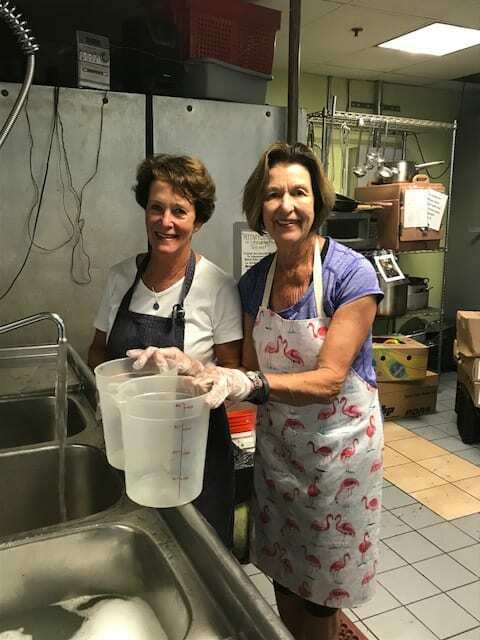 And if one of the ladies know they cannot make it on a certain day, they have their go to list of substitutes to fill in including Nancy McCarthy, Sue Settelmeyer, Francie Miller and Pam Cassidy. Without fail, every Monday “The Ladies” are in the kitchen with a routine down to a science. One heads straight to the donated goods that were delivered earlier in the day, one helps cook lunch for that day, one cleans out the fridge, and one starts to prep for future meals. 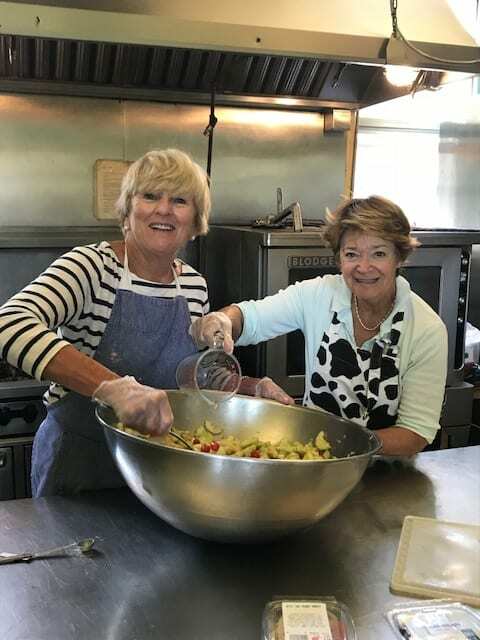 “The Ladies” are good friends who have known each other for years, but when they enter the kitchen, they are a team that works together to support Lifebridge’s Community Meals Program, that is open to all who are hungry. 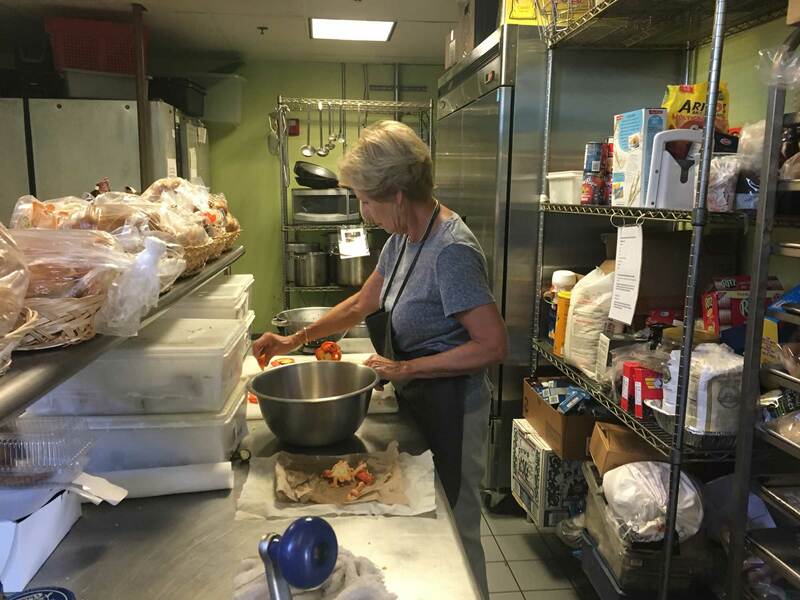 Meals are prepared and provided free of charge every day to both the residents of our campus along with members of the community. Since “The Ladies” began volunteering in 2015, their friends have started to ask how they can also get involved as well. 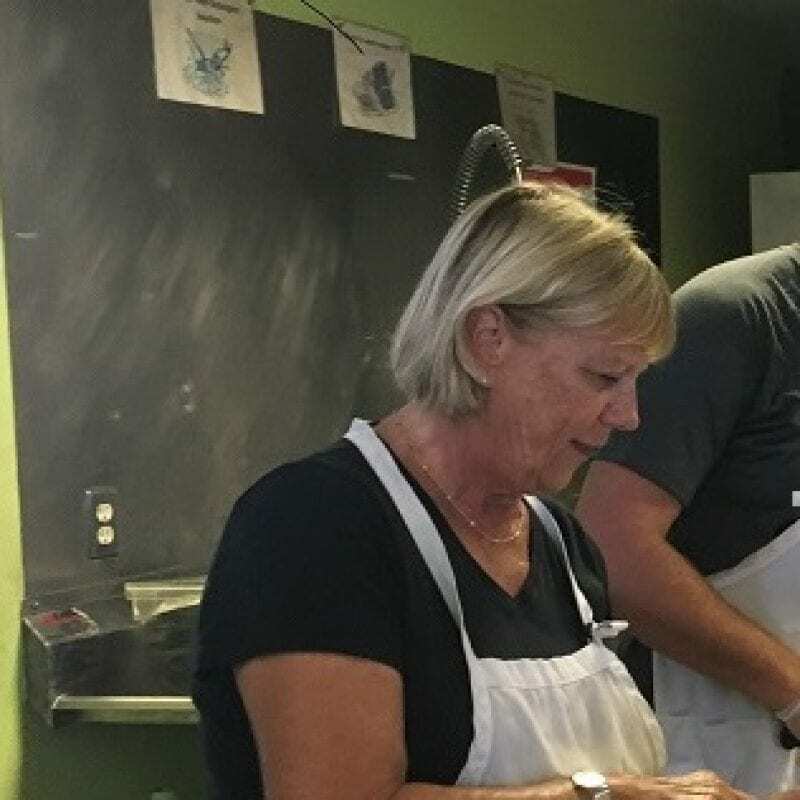 They have started a trend and now their friends, Barbara Tierney and Pat McLaughlin help in the kitchen on Tuesdays. Barbara also volunteers in the Development Office, just like Sally. 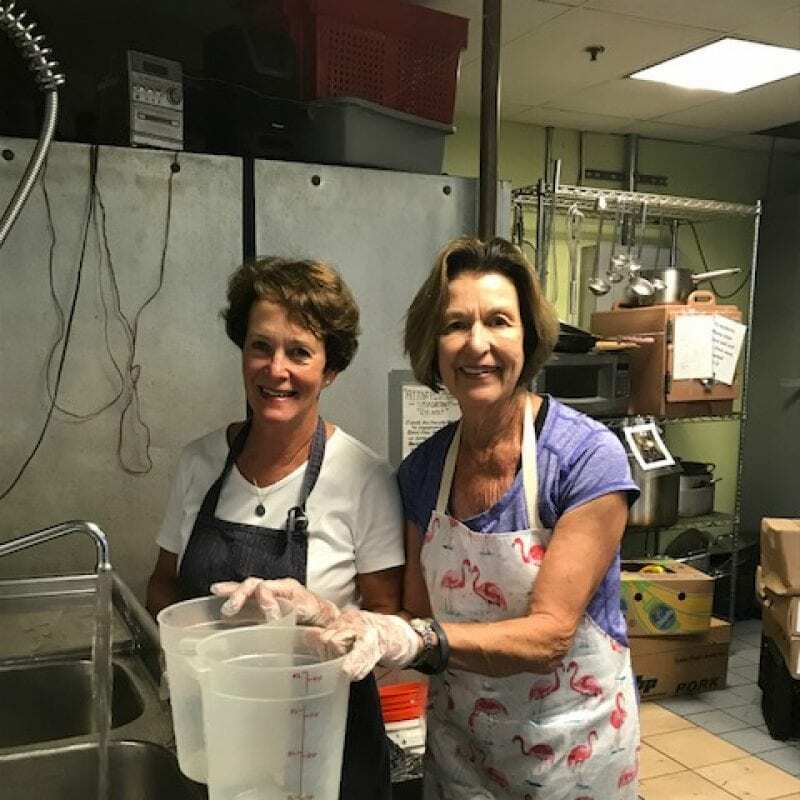 When asked about volunteering at Lifebridge, “The Ladies” truly enjoy making a meaningful difference through philanthropy and hands-on help.